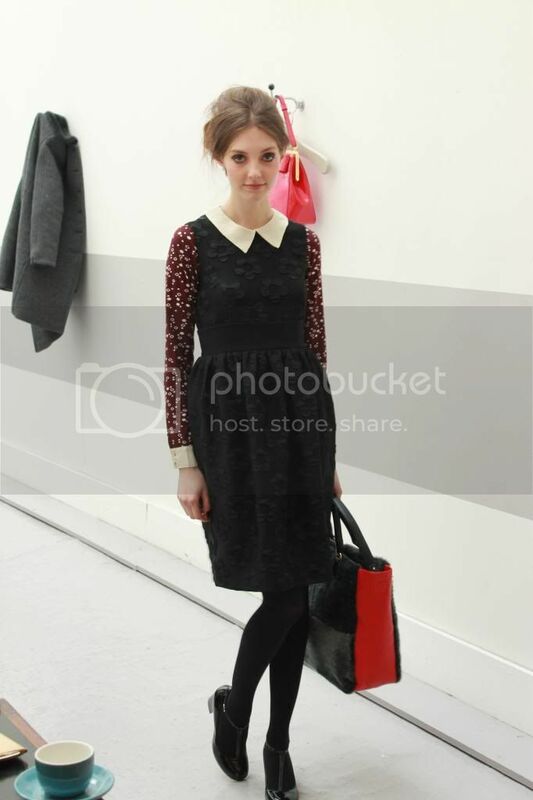 Yesterday I attended the Orla Kiely AW13 show on Day 2 of LFW and I can confirm she did it again. For those unfamiliar with Orla's work, she is best known for her iconic, vibrant prints and focuses on the pattern eras, best known as the 60s and 70s. This collection was based around the 60s theme but with a somewhat modern twist in scarlet red, pastel pink and mustard, contrasting delicate textures and dark tones .The highlight was a 3 piece daisy velvet jacquard combo, combined with overdresses, micro mini's and high waisted shorts. The outerwear was shearling (of course) for added glamour and the models wore their hair in super voluminous updos! The best part was the backdrop which really took you back in time for that brief period, set in a typing pool (that's old skool for office), the models, aka secretaries strutted up and down the catwalk while their *co-workers* typed on typewriters and rifled through paperwork. With retro tunes playing in the background the collection felt magical, there literally wasn't one piece I didn't like and it really was (for me) a ready-to-wear range! 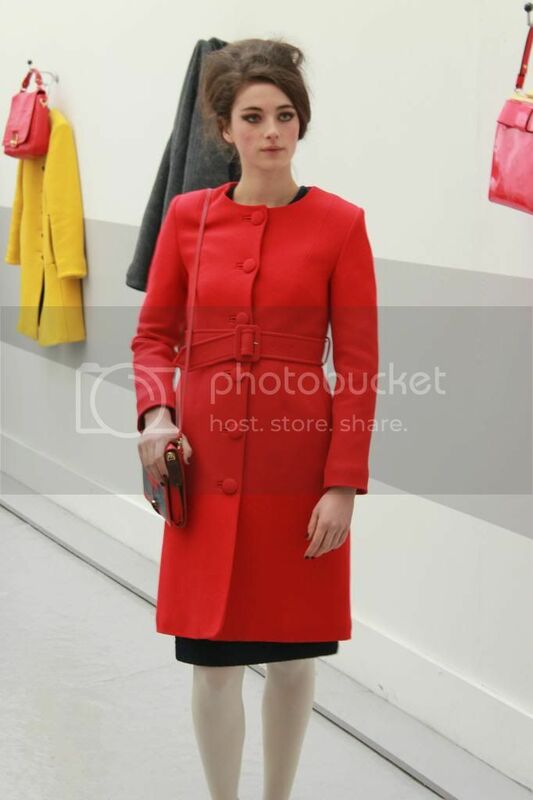 Thank you Orla for allowing us to view once again a snippet of your vision! Oh how I love the swinging 60s!!! What era is your favourite? Love the 60s as well! Oh it's such a great era isn't it. Take me back anyday! What a beautiful, wearable, stylish collection and great pictures Marsha!! aaww as sweet as usual, the suit in the last picture is very chanel like, right? What a gorgeous and chic collection with amazing retro styling! Great post! Also I am obsessed with the mustard jacket!! So cute! Thanks Christina glad you like it, was time for a change! thanks for sharing this doll! i totally agree that the 60's style is unbeatable! loving the coats and hairstyles! 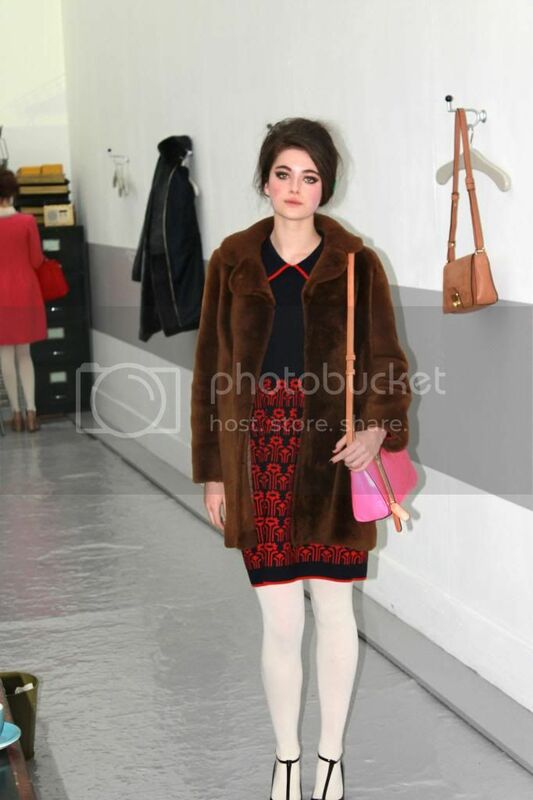 I love 60s style so much.... perfect looks! 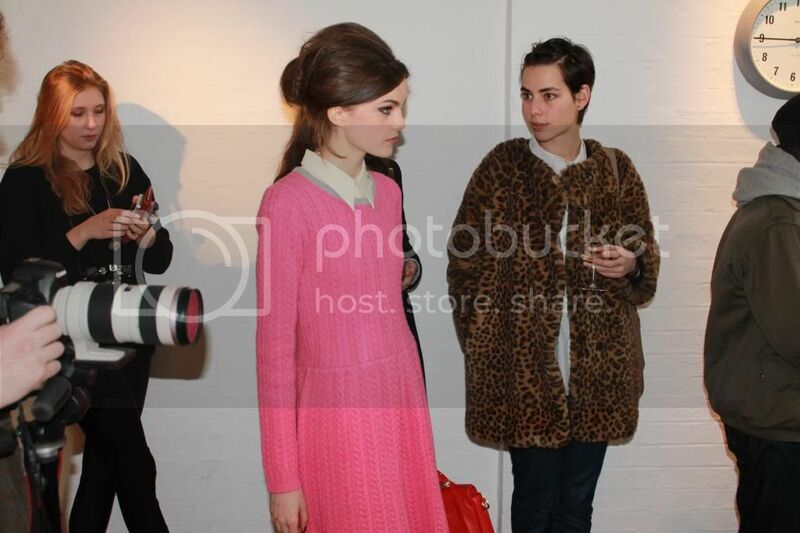 Great photos, also loving the hair & make up on the models! The 60's seem like such an enchanting era. I agree with you Kel. Oh to spend just one day in the 60s! wow, great collection I especially love the dress in the 3rd photo! It's a two piece but the colours really do work together so well!